is an industry-driven global collaborative platform to advance food safety. is an FDA-endorsed management system in which food safety is addressed through the analysis and control of biological, chemical, and physical hazards from raw food production, procurement and handling, to manufacturing, distribution and consumption of the final product. has recipes and information on health and nutrition. – The National Poultry Improvement Plan provides a cooperative industry, state, and federal program using diagnostic technology to improve poultry and poultry products. Learn how farmers ensure fresh, wholesome eggs are available at your favorite grocery store. 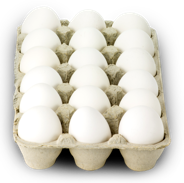 Watch Safe Nutritious Eggs from Hen to Home. is recognized by the Global Food Safety Initiative (GFSI) and managed by Food Marketing Institute (FMI). SQF links primary production certification to food manufacturing, distribution and agent/broker management certification. (EQAP) are organized by some states and based on HACCP principles. Research in Emerging Infectious Diseases Journal found state EQAPs helped reduce Salmonella Enteritidis (SE) incidents within that state. The Agricultural Marketing Service (AMS) administers programs that create domestic and international marketing opportunities for U.S. producers of food, fiber, and specialty crops. USDA quality grade marks are usually seen on beef, lamb, chicken, turkey, butter, and eggs. USDA Foods meet high standards for quality and wholesomeness and must be produced and processed according to details USDA specifications. The U.S. standards for shell eggs limit the number of restricted eggs that are permitted in consumer markets, and there are mandatory procedures for disposing of and distributing restricted eggs. These procedures are covered by the shell egg surveillance program monitored by AMS. The United States Department of Agriculture (USDA), Animal and Plant Health Inspection Service (APHIS), Veterinary Services (VS) regulates the importation of animals and animal-derived materials to ensure that exotic animal and poultry diseases are not introduced into the United States. Grades AA, A and B. The Poultry Program of USDA’s Agricultural Marketing Service provides voluntary poultry and egg grading and certification services. – USDA provides information on avian influenza, food safety and the public health. is the government agency that oversees programs in farm and foreign agricultural services; food nutrition and consumer services; food safety; marketing and regulatory programs; natural resources and environment; research, education and economics and rural development. UEP “5-Star” Egg Safety Program is a voluntary program of United Egg Producers. “5-Star” goes beyond FDA Egg Safety Rule requirements to provide egg farmers with a comprehensive, dependable safety program from the farm through processing.